We pledge to deliver succulent seaside clams that have been grown in a pristine ocean reserve enhanced only by nature's flavorful waters. We do not use genetically modified animals and never add any additives, antibiotics or growth hormones. We do maintain our own breeding program and select clams for peak performance and taste. 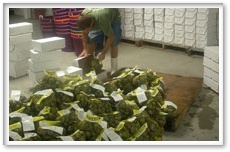 The seed we produce is divided between JC Walker Brothers, our cooperative growers, and our neighboring clam farmers. 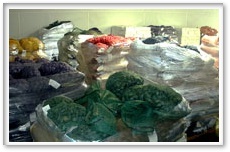 Nearly 24-36 months after the seed is produced we are able to deliver these delectable "Little, Middle, and Top Neck" Seaside Brand clams to our valued wholesalers. 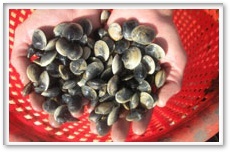 Since our first clam planting in 1983 of only a few hundred thousand clams, our seed production has grown to over 150 million per year. 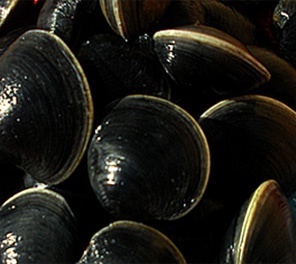 Clams are spawned every winter through spring in our commercial hatchery, producing the seed that we plant to grow our clams.